Massive debt won’t keep Netflix’s comedy slate down. 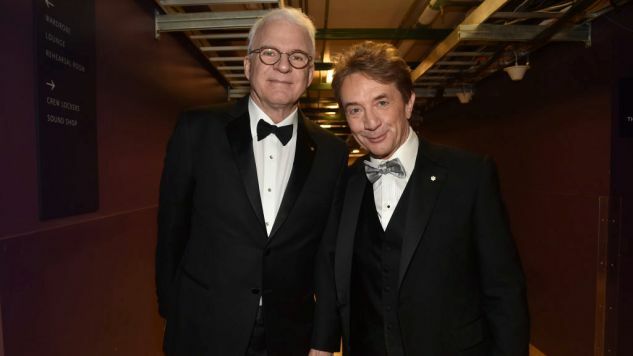 Today the streaming service announced that Steve Martin and Martin Short, two of the most famous men to ever share part of my name, are doing a comedy special together, modestly titled Steve Martin and Martin Short: An Evening You Will Forget For The Rest Of Your Life. Taped in Greenville, South Carolina, during their current tour together, the special will premiere on Netflix later in 2018. The two comedy legends also released a video announcing the special on Twitter. Check it out. According to the press release, the show “features new material presented in a variety of musical sketches and conversations about their iconic careers, most memorable encounters, and of course, their legendary lives in show-business and stand-up.” Steve Martin, of course, famously quit stand-up in 1981, only returning to the work that made him famous in 2016, when he prepped for this tour with a surprise 10-minute opening slot for Jerry Seinfeld. I don’t imagine this show will have much in the way of traditional stand-up—it sounds more like a variety show hosted by Martin and Short, complete with musical performances by Martin’s bluegrass band The Steep Canyon Rangers and jazz pianist Jeff Babko. Not that a variety show hosted by Steve Martin and Martin Shot would be unexciting in any way—Steve Martin is still one of the most naturally hilarious people alive, and Martin Short still flashes some of his SCTV brilliance whenever he pops up on SNL or other variety-style shows. Between Short’s theatrical strengths and Martin’s recent focus on music, this format seems well-suited to where the two currently are in their careers. Whenever Netflix announces a release date, or any kind of a trailer, Paste will let you know.